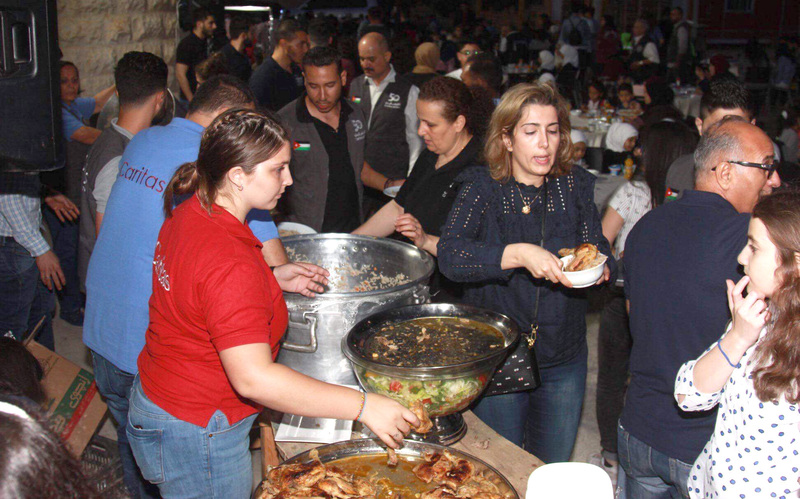 Grace (red t-shirt) serving Iftar alongside other Caritas volunteers to hundreds of refugees, orphans, and the Princess of Jordan. 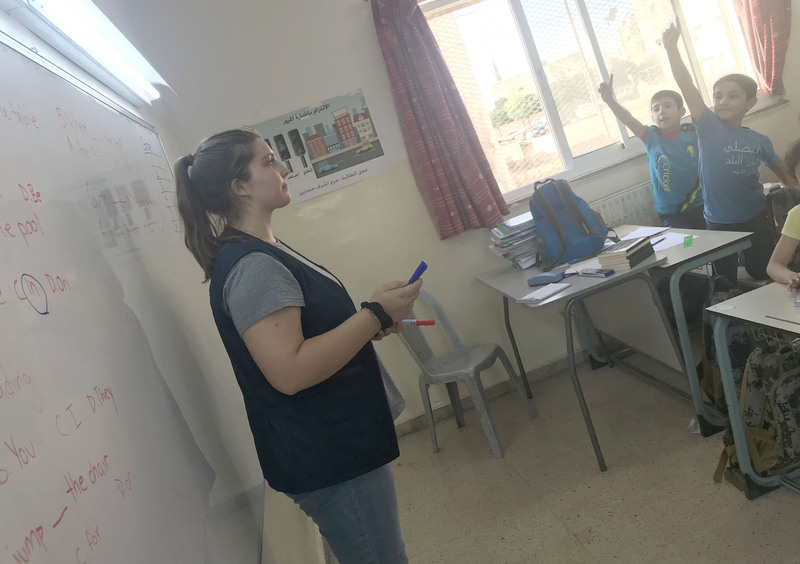 Grace Rector, SFS ’21 is spending her summer in Amman, Jordan volunteering at a Caritas, a Catholic Charities Organization. 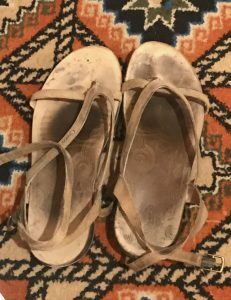 Here, Grace shares her reflection of her first weeks abroad. Months ago, I applied to be a volunteer intern through NGOabroad and I could not be happier with my placement. I’ve been studying Arabic informally for three years now, and I’ve become fascinated with the language and the history of the Middle East. I knew I wanted to work in a country in that region doing non-profit work, and it just so happened that Caritas needed a volunteer. Caritas is a Catholic Charities Organization devoted to providing resources to mainly Syrian refugees as well as poor Jordanians. Being in an environment in which everyone is Catholic during Ramadan is an interesting experience. Outside our office, everything is dead quiet. The normally lively restaurants are closed so, my colleagues and I sit in the kitchen at the center and eat together. I am three weeks into my internship and I have grown close to a lot of my coworkers. I already feel like a part of the organization. I love the camaraderie that I have encountered in the workplace here in Amman. Everyone is so interconnected and is friendly with everyone in the office. 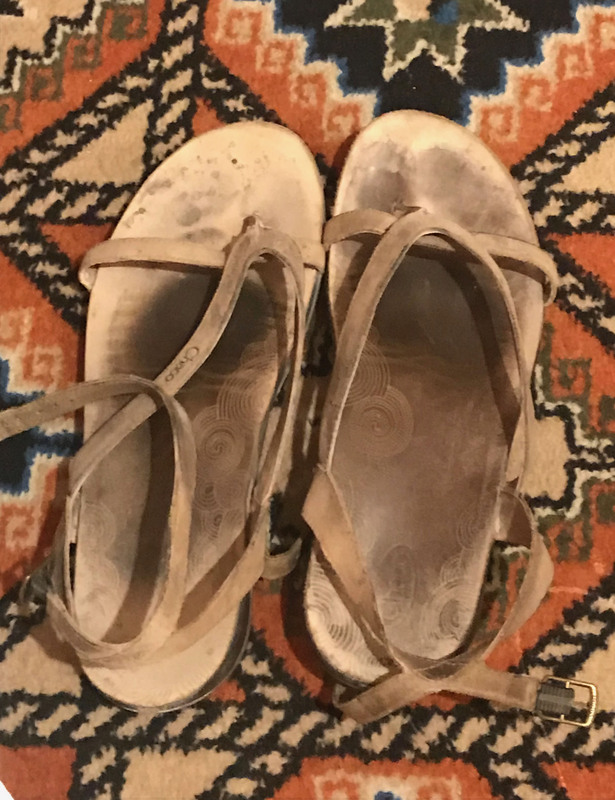 Every day around 11 a.m., we gather in the kitchen to share warm pita, Labneh, and a spice called Zaeter. Although I cannot understand most of the discussion it is great for me to simply listen to the Arabic dialect in hopes of learning something. There is also something special about working at a Catholic NGO. Mercy and forgiveness are at the forefront of everything they do which is amazing to be a part of. Another unique aspect of the organization that I like is that the people, the beneficiaries, and volunteers alike, come from places such as Egypt, Iraq or Armenia. This diversity creates a sense of belonging for everyone in the Caritas family. At the start, I was nervous because of language differences. I speak some formal Arabic, but everyone else speaks colloquial which I did not understand. I was afraid that I wouldn’t be accepted and that it would be difficult to fit in because I was the only new volunteer. But after weeks of long chats with everyone in and out of the office, I feel like I am more of a friend than simply a coworker. I’ve also had the chance to meet a lot of people outside our specific Caritas center, from the soup kitchen to the elementary and middle school for Syrian refugees. In each of these places I’ve witnessed a deep sense of community, but I have to say, the most tight-knit community was the soup kitchen. I spent my first day there with the volunteers. We worked from 9 am – 11pm with people constantly passing by one another. We spent the morning washing dishes for the dinner we would serve later that night, and when we finished a task, everyone would go outside for a smoke and laugh until they couldn’t breathe! We sang songs, talked about life, and traded stories. Though I couldn’t understand all of it, laughs are universal and they made me smile. When we finished our work before serving dinner, everyone gathered into the kitchen which was probably 90 degrees from the boiling water, we played music and danced! From Arabic music to Despacito, we moved and clapped along. I am grateful to already feel so close to this experience and I can’t imagine how incredible the next four weeks will be as I get to know the people even better.